He said Khazanah, Malaysia’s one and only profitable SWF, must be monitored very, very carefully to ensure that it continued to remain profitable and relevant to the interest of the rakyat (people). “Malaysians do not want to hear any excuse from Khazanah for any below par or deteriorating performance. A review of its management and decision makers is then in order,” he added. Syed Razak, who is Gerakan’s nominee to contest N.37 Bukit Lanjan in the coming 14th General Election (GE14), said Malaysians would anticipate that one of Khazanah’s excuses for the deteriorating performance would be “the sluggish global economy”. “If so, that is neither a valid nor acceptable excuse. Tell that to the Norwegians and they will slap you,” he added. In January 2014, Norway’s sovereign wealth fund (SWF) balooned so much due to high oil and gas prices that every Norwegian became a theoretical millionaire. Syed Razak said the federal government must immediately get to the bottom of the ST news report to ascertain and assure Malaysians that Khazanah did not lose RM9 billion in its net worth in just two years. “Any rot must be checked or stopped, before it is too late. If the news report is accurate, then action must then be taken to remove incompetents responsible for any losses, remedial measures must then be put in place. “Ensure that the incompetents are removed and replaced by the right professionals,” he added. KUALA LUMPUR: Khazanah Nasional lost RM9 billion, in value, of public money over two years from 2014. This has resulted in additional pressure on Khazanah to show higher returns to boost government coffers, according to a report in The Straits Times (ST). The report said that senior state officials were lobbying for changes to the sovereign wealth fund’s management and investment strategy. The report said the net worth adjusted (NWA) of Khazanah had dipped since 2014 from RM111 billion to RM102 billion. The NWA’s tabulation, it said, was unclear but that it largely measured the current value of Khazanah’s portfolio plus dividends returned to the treasury. “In short, it lost 8% of its value or RM9 billion in public wealth over two years,” the report added. The last time Khazanah declared a dividend lower than this year’s RM650 million was in 2011. 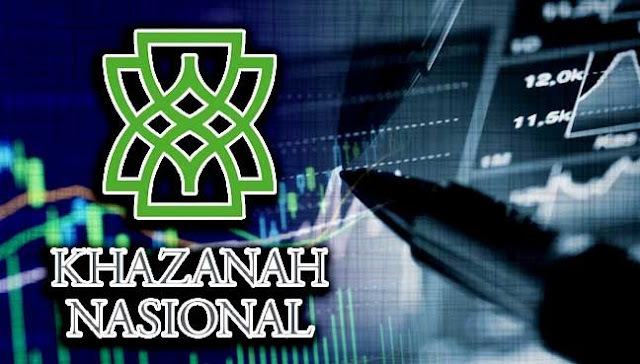 The bulk of the government’s direct business investments is managed by Khazanah, which has returned an average of just RM825 million in dividends annually over the past four years, from its RM145 billion worth of assets. This, the ST report said, amounted to less than 1% return a year between 2013 and last year. According to the report, there is a push by some within Prime Minister Najib Razak’s “vast circle of advisers” to change Khazanah’s investment strategy, especially since the fund’s managing director, Azman Mokhtar, is due to leave in mid-2019, after a 15-year run at the helm. Second Finance Minister Johari Abdul Ghani told ST that Khazanah’s succession plan would make increasing returns a priority. “I think that for anybody who is going to run that outfit, certainly that will be part of their KPI,” he said, referring to key performance indicators. Umno Youth executive council member Rahman Hussin told the ST he had been tasked with raising the issue of non-performing government-linked firms at next month’s Umno asembly. “Khazanah has so many subsidiaries, but as a custodian of public wealth, why is it not creating returns that we can channel back into the economy?” he was quoted as asking. The ST report said the opposition believed better returns from state enterprises such as Khazanah could help ease Malaysia’s fiscal deficit, currently running at 3% of gross domestic product. It said Pakatan Harapan’s budget committee chairman Wong Chen had estimated that the fund could and should declare RM2.5 billion in dividends yearly. Khazanah controls some of Malaysia’s biggest firms, including state electricity company Tenaga Nasional and telecommunication firms Telekom Malaysia and Axiata. It also controls CIMB. Its stakes in these four giants alone have garnered RM1.5 billion in dividends this year. According to the report, Khazanah performs poorly when compared with the Employees Provident Fund (EPF). Since 2004, the report noted, Khazanah had returned a total of RM9 billion in dividends, which worked out to an average annual return of below 1% of the fund size, while the EPF added more than 5% annually to its members’ retirement savings. The ST report said Khazanah’s profit before tax – not including unrealised capital gains – also lagged behind those of its peers, such as Singapore’s Temasek Holdings, China Investment Corporation, Alaska Permanent Fund Corporation, and the world’s largest sovereign fund, Norway’s Government Pension Fund Global. The ST said Khazanah did not respond to a request for comment but that they and analysts often pointed to “national service” activities – investments in strategic industries that support government policies – as a factor that could drag down returns. 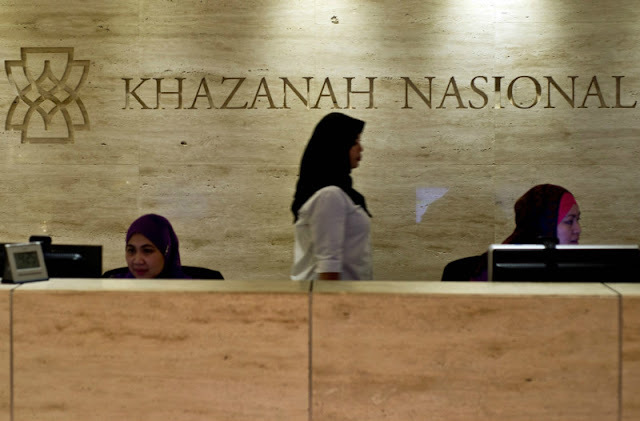 Khazanah has 458 staff in more than eight offices, including in London and San Francisco. PETALING JAYA: Sovereign wealth fund Khazanah Nasional has rubbished a report by a Singapore daily claiming that it is under pressure to show higher returns to boost government coffers. It said the article titled “Khazanah feels the heat amid push to change its investment strategy”, published by The Straits Times earlier today, gave an inaccurate and misleading picture of its financial performance. “This is principally due to its selective focus on a narrow and incomplete set of indicators of financial performance,” it said in a statement. It said Khazanah had lost RM9 billion in value of public money over two years from 2014, and that its net worth adjusted (NWA) had dipped from RM111 billion to RM102 billion in the same period. However, Khazanah said the NWA value of the portfolio had grown threefold or 207% from RM33.3 billion to RM102.1 billion from May 2004 to December 2016. This translated to an annual compounded return of 9.3% per annum over the 13-year period, rather than just the 1% or 2.6% return implied by the article, it said. Khazanah added that the rate of total return as represented by NWA growth was in line with relevant benchmarks, in particular the FBM KLCI, which it said posted a total shareholder return of 9.4% per annum during the same period. 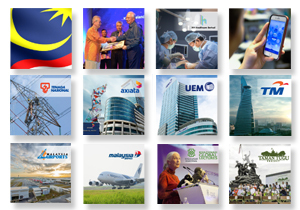 “Khazanah has a multi-pronged mandate that includes investing for growth and commercial returns – domestically and internationally – while also undertaking developmental and national initiatives. It said given that its mandate does not involve receiving any regular capital injections, as well as its need to reinvest for growth and national initiatives, the bulk of its returns were primarily channelled into reinvestments, not dividends. “This need for a balanced re-investment strategy for growth, development and dividends is done in consultation and approval of the board of directors and the government. “As Khazanah does not receive regular capital injections unlike most sovereign and sovereign-linked funds, it needs to ensure that its returns are achieved with an appropriate level of risk undertaken. 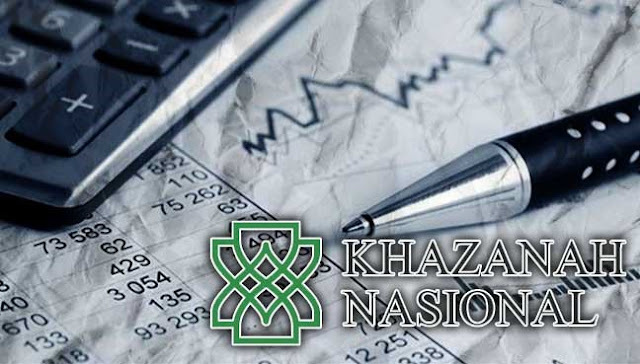 In addition, it said, Khazanah actively tracked other non-financial measures of performance including economic, strategic and societal indicators which were widely reported in its annual reports. Regarding its leadership succession, meanwhile, it said Khazanah had a well-established and orderly succession process approved by the board of directors and in line with good institutional practices."